Binge Eating Disorder is an eating disorder that is denoted by excessive food intake, often driven by a need to soothe negative emotions. Those suffering from binge eating disorder (BED) repeatedly and uncontrollably eat extreme amounts of food, often resulting in obesity. Following episodes of bingeing, those with BED usually experience feelings of guilt, shame, or distress. In an attempt to regain control, individuals may begin to restrict food or try restrictive dieting, which often ends in another episode of bingeing, making weight loss challenging. This cycle of bingeing and restricting is challenging to break without professional treatment. Recurrent episodes of bingeing or eating an amount of food larger than most people would eat in a similar time frame under similar circumstances. This episode must be accompanied by a feeling of a loss of control over eating. Eating to a point of discomfort. Eating alone due to embarrassment of the amount of food being consumed. Feelings of disgust, depression, or guilt after eating. Bingeing at least once a week for three months (or more). An absence of compensatory behaviors (as seen in Bulimia and Anorexia, such as running, purging, etc.). Binge eating is cyclical, rotating from binge eating episodes to restrictive dieting that ultimately leads an individual back to bingeing. Binge eating is the most common type of eating disorder in the United States, despite being lesser known than anorexia and bulimia. Although binge eating lacks the compensatory behaviors that characterize other eating disorders, it is equally as serious. Binge eating is not a choice, a phase, or a lack of willpower. Binge eating can affect anyone, regardless of age, race, gender, or any other demographic categorization. It is a complex, serious mental illness that requires professional treatment. While those struggling with binge eating are often at a higher weight than average, this is not always the case. The more frequent bingeing episodes are, the more severe the illness becomes. As bingeing increases, individuals may begin to experience physical symptoms that negatively impact their life. While these symptoms are severe, if treated promptly, they can be reversed. It’s common for individuals suffering from binge eating disorder to consume copious amounts of sweets and non-nutritious foods. The restrictive dieting following a binge may also contribute to an individual not meeting their body’s nutritional needs. This low caloric intake (from dieting) and lack of nutrient consumption (from both dieting and bingeing) can cause dry skin and may cause hair to become brittle and fall out. Binge eating, specifically sweets and dairy products, may also lead to an increase in facial acne. Those who engage in frequent bingeing episodes commonly experience a variety of gastrointestinal problems. Following a bingeing episode, individuals may feel uncomfortably full and/or sick to their stomach. They may experience bloating, abdominal pain, and nausea. Binge eating overloads a person’s system with a flood of calories, sugar, fat and/or carbs, which results in the body using a large amount of energy to digest the food, which may result in low energy, sleepiness, and sluggishness. Eating large amounts of food in a short period of time also may result in acid reflux, cramping, heartburn, and diarrhea. Repeated consumption of large amounts of food may cause long-term effects, including “gastric dilation and gastric perforation,” where the stomach may become so full that it can rupture (Fukudo, Sato, 2015). Binge eating may also cause constipation and irritable bowel syndrome, where people experience general, chronic stomach discomfort, diarrhea, and constipation. Binge eating disorder may cause individuals to have hypertension (high blood pressure). Common risk factors of high blood pressure include being overweight and having diabetes, conditions which are sometimes seen in those suffering from binge eating—although it is important to note not all individuals struggling with binge eating live in larger bodies. The exact physical effects of binge eating disorder are still somewhat unknown, as eating disorder studies and research often focus specifically on anorexia and bulimia. That being said, recent research is geared more towards understanding the effects of binge eating disorder and why certain individuals are prone to developing this type of eating disorder. Like every other eating disorder, it is essential that those suffering from binge eating get help and treatment as early as possible. 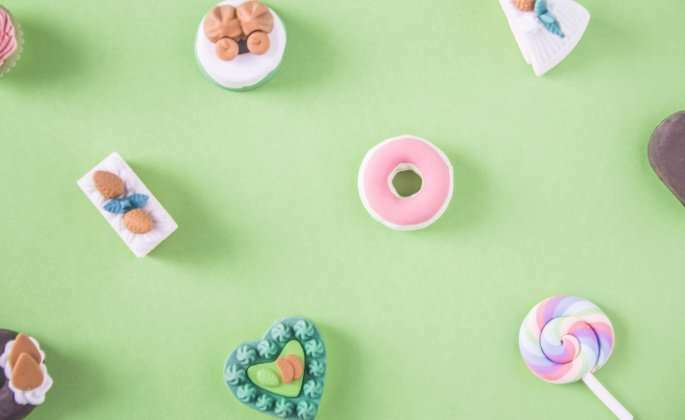 Treatment will depend on the severity of the eating disorder, but often necessitates a therapist and a dietitian to get at the root causes of the client’s binge eating. Eating disorders are treatable. With proper care, individuals can experience full recovery and return to a normal life. If you or a loved one are struggling with disordered eating, reach out to The Emily Program at 1-888-364-5977 or start the process online.